Owner Chris Ramsay-Care doesn’t mind if you can’t recall his name, but if you’re anything like his other customers, ten years later his name still appears as ‘my floor guy’ in your cell phone. Chris is proud of the reputation he’s built in the industry with his family-owned and operated flooring company, RCI Flooring. His customers know that he’s honest and dependable, so much so, that Chris and a project manager are on-site at your home or business while the project is being completed, assuring it is done to his high standards and your satisfaction. He’s not trying to compete with the impersonal big box stores. He doesn’t have to. Word of mouth referrals and recommendations, as well as return customers, has kept him busy since 2007. Though he may not always be the lowest price in town, his prices are fair, competitive and he’s not going to cut corners to do a cheap job because it’s his reputation on the line. Often, Chris is called in to repair the installation of his cheaper competitors. He had two other locations, his flagship store in New Port Richey and a third location in Brooksville, but he closed those because he didn’t want to miss out on being Dad to his two young daughters. 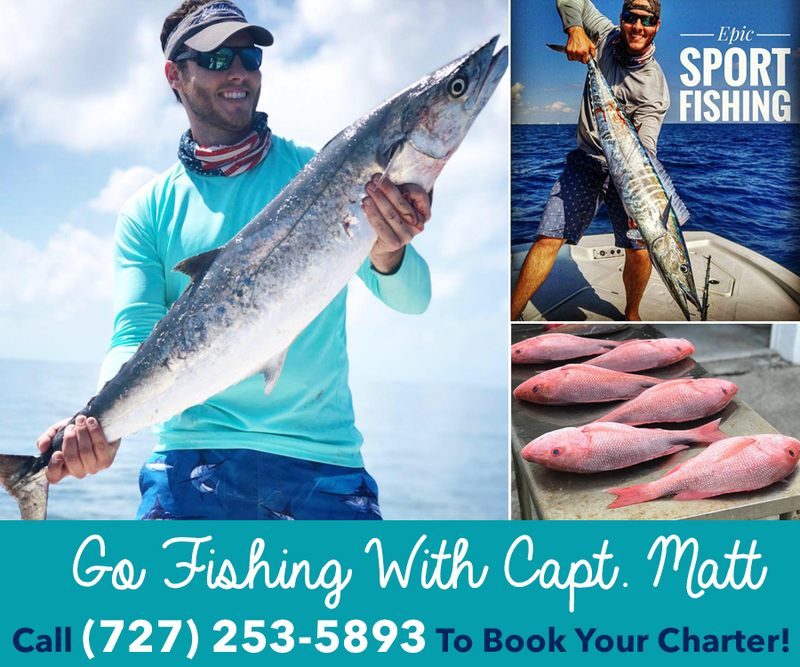 He chose the Palm Harbor store because of its great location at 33937 US Hwy 19, centrally-located 20 minutes between Tampa and Clearwater. At RCI Flooring, customers can customize their flooring vision in a pressure-free, relaxing atmosphere, enjoying complimentary water, coffee, and donuts. 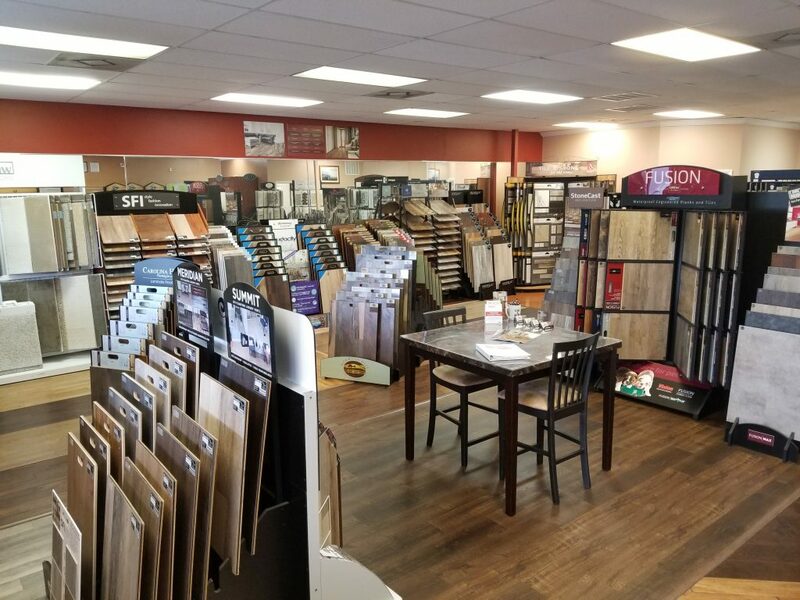 Customers can select from over 1,000 different SKUs of flooring product, from hardwood, laminate, carpet, and tile to the popular pet and kid-friendly, waterproof wood-looking plank. Every project is customized to the customer as nothing is housed in the store. By not inventorying the products, there is no pressure to push a particular product to meet a commission – as with other stores. Chris explained that over half of his current business comes from luxury waterproof planking. “It looks like wood, but it’s 100% waterproof,” he said and joked, “it’s life-proof. It comes in different styles and aesthetics to suit every home. You could take a piece of it and submerge it in a bathtub full of water, and still install it in your floor without any issues. Chris encourages customers to take home full-size samples of flooring to view in the lighting in their own home, and merely return when finished. Doing so allows customers to work by the process of elimination in making their selection, and ensures they are thrilled with their new floors. RCI Flooring also offers complimentary, no-obligation consultations at your home. 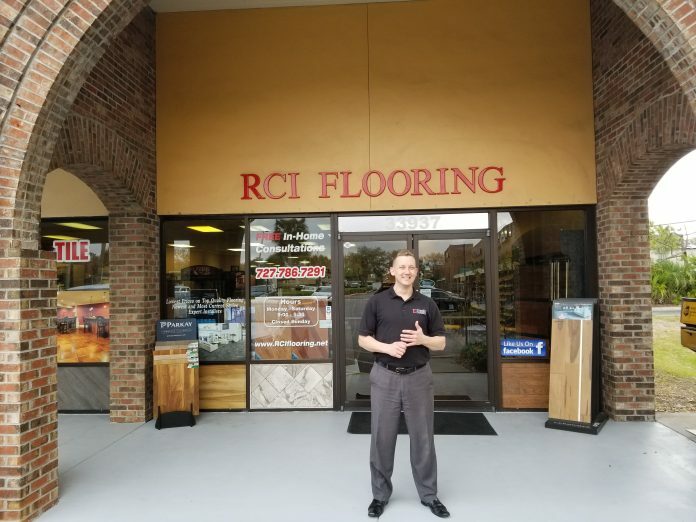 Nearly half of Chris’ business comes from repeat customers, and women are his largest demographic, which works perfectly as RCI Flooring is located amongst by a hair salon, nail salon and other businesses geared towards women. RCI Flooring is open Monday through Saturday 9am-5: 30 pm. Enjoy a special promotion on waterproof wood-look and tile-look flooring in March with 12-month interest-free financing and save $300 off any project $3000 or above. To learn more or to schedule a free consultation, visit rciflooringcenter.com or find RCI Flooring on Facebook.